Style: 2 Story "Residential and commercial"
COMMERCIAL OPPORTUNITY! NDG BUILDING RESIDENTIAL/COMMERCIAL IN IDEAL SHERBROOKE ST. LOCATION. PRESENTLY GROUND FLOOR RETAIL, AND 6 SMALL APARTMENTS. 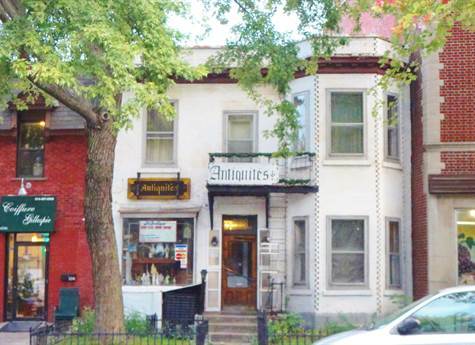 POTENTIAL TO RENOVATE FOR OFFICES, RETAIL, OR MEDICAL CLINIC. The property is sold as is, without legal warranty of quality.